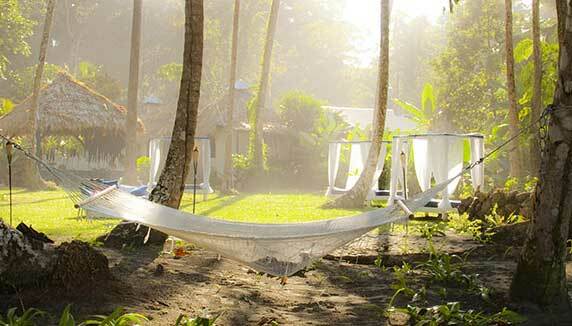 Boutique beach accommodation, with a backdrop of tropical forest. Le Caméléon is open year round. Le Caméléon stands out from other hotels in the area. It is stylish and modern in its design. The contemporary décor combines with rustic elements and intriguing lighting, creating a relaxed and comfortable atmosphere. Designed with the discerning traveller in mind, the minimalist rooms are both elegant and inviting, with bright accents of colour adding to the experience bringing a sophisticated warmth and sense of fun. Sliding glass doors lead out to private balconies, letting in natural light to warm your surroundings. Enjoy the beautiful spacious bathrooms and delightful plush beds. Further down the property is the Beach Club La Sula Sea Lounge, located at Cocles Beach, just across the street from the lobby, where you can enjoy different activities such as yoga classes, spa treatments, live music, cocktails at the bar and excellent international cuisine at the restaurant. Why go to Le Caméléon ? 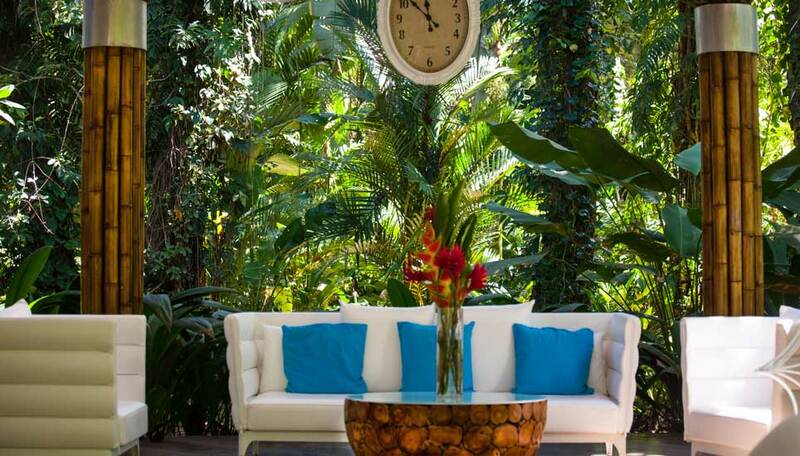 You will find this stunning boutique hotel where the Caribbean sea meets lush tropical forest. Built on the outskirts of the charismatic coastal village of Puerto Viejo, this is the only upscale lodging to be found here. 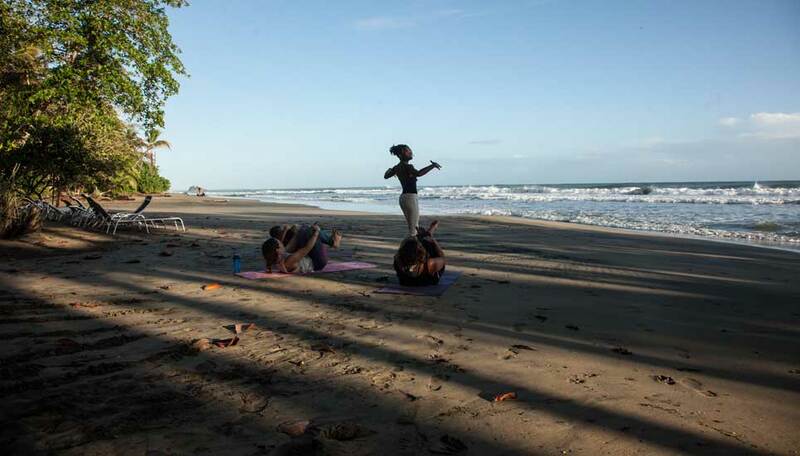 Fronting Cocles beach, one of the area’s most beautiful beaches, with golden sand and wild rainforest vegetation, you’ll find yourself immersed in an idyllic balance between relaxing seclusion from the outside world and convenient proximity to the charms of a vibrant Caribbean town. Adding to the relaxing feel are the tropical gardens and rich wildlife, here for you to enjoy. From the comfort of your veranda you can listen to the sounds of the forest that surrounds you, the howl of the monkeys, the chirping of the colourful birds – it’s easy to let your mind wander. Let us not forget the ocean, right in front of the hotel, with the opportunity to explore the coral reef either scuba diving or snorkelling – this opens up a whole different side of wildlife viewing. 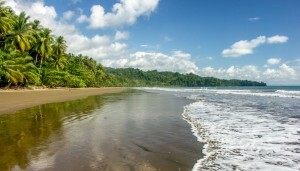 With Cahuita National Park and Gandoca Manzanillo Wildlife refuge nearby, there is plenty of wildlife to seek out from sloths, monkeys, tapir, the never ending parade of colourful birds to the caimans, frogs and toads – the area is a haven for wildlife. Each room has a mini bar, telephone, air conditioning, tv, safe, hair dryer, iPod dock, internet. A full à la carte breakfast is included. 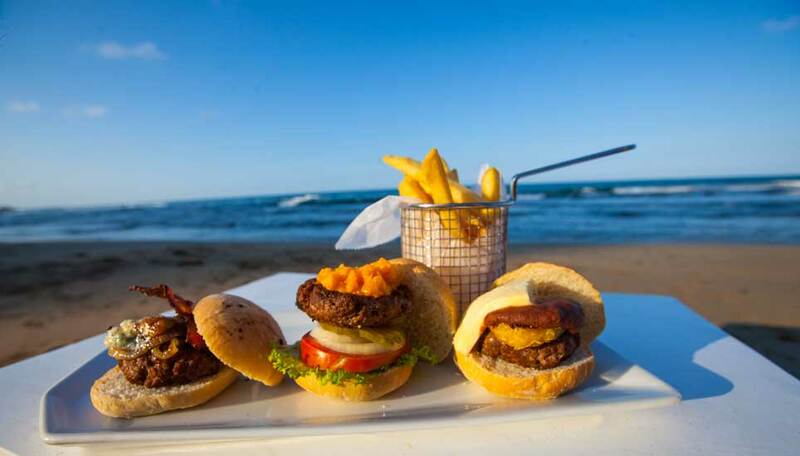 This boutique beach hotel has 23 rooms made up of 10 superior rooms, 6 deluxe rooms, 6 junior suites and 1 master suite. Superior room: Perfect option for couples or single travellers searching for a fancy yet more affordable accommodation to enjoy a longer vacation. One queen-size bed, a spacious bathroom with a shower and a private balcony where the higher branches of our lush tropical garden meet your eyes make for a perfect room. Deluxe Room: If you’re traveling with a friend or with your young family of four, the Deluxe room is a great option to keep you all together. 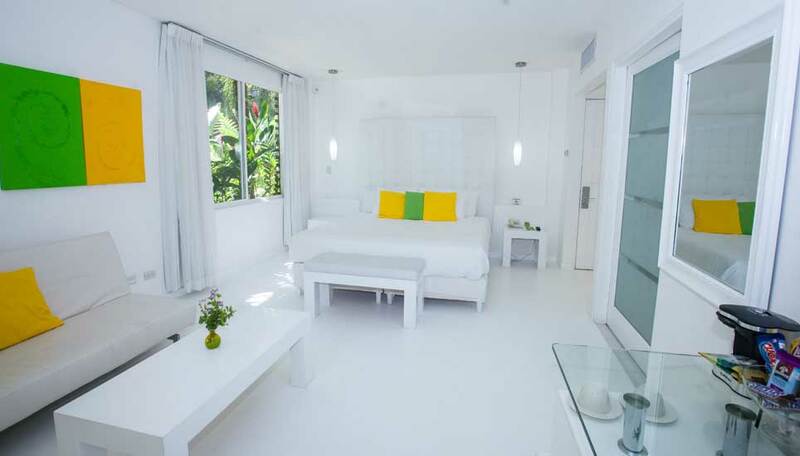 Located on the bottom floor, this room has two full-size beds, a spacious bathroom with a shower and a private terrace. Junior Suite: Our Junior Suites are the most spacious. Located on the bottom floor they’re the preferred option for honeymooners with luxury and plenty of room in mind. It houses a king-size bed and a living area with a full size sofa bed, a spacious bathroom with a shower and a private terrace. Le Caméléon Suite: was designed with pampering in mind. If you’re searching for a suite with a unique personality, plenty of room to lounge and enjoy your stay in luxury, Le Caméléon Suite is the perfect choice. Located upstairs the beautiful view from the balcony is both relaxing and brings you into contact with nature, the top of our garden is at eye-level, attracting tropical birds like toucans, aracaris and hummingbirds. The two rooms of the suite are separated by a wooden sliding door. The first room has a king-size bed and a bathroom with bathtub and shower. The second room has a living area, a full size sofa bed, half bathroom and private balcony. Sheer bliss. Children under 10 stay free when sharing a room with 2 adults. There is free WiFi in all rooms and also in the main areas.